R.C. 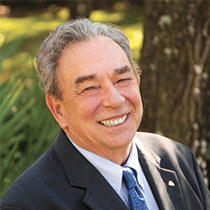 Sproul considers Romans 1:16-17 and the meaning of personal trust. Today we come to the conclusion of our brief study on what it means to live by faith. You will recall that yesterday we discussed how the example of Abraham shows us that we must trust God even in the most difficult of circumstances. No matter how bleak things may get, we must still hold on to the promises of God. We can trust God because He alone is trustworthy. He alone sent His only begotten Son to the cross as a sacrifice for our sins. We can have faith in Him because He did not hold back from doing the work necessary to save us and to count us righteous in His sight. Theologians have rightly interpreted this verse as a reference to the imputed righteousness of Christ that is the sole ground of our justification. We would be mistaken, however, to assume that this is all that the verse is teaching us. The Bible tells us again and again that though the imputed righteousness of Christ is the only basis by which God declares us righteous, we are still called to live faithful lives (James 2:26). These righteous lives will always be imperfect before we die, and the works such a life produces in no way contribute to our justification. Nevertheless, if we are living a life that does not reflect loyalty to God at all, we do not have true faith, and if we do not have true faith, neither have we been declared righteous by the Lord. 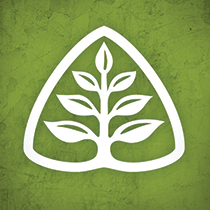 One of the essential elements of saving faith is called fiducia, or personal trust. Thus, to say “the righteous live by faith” is to say that the righteous live their lives in loyalty to God, inspired by a personal trust in His promises. Righteous people live a life that is characterized in an abiding trust in the goodness of God despite their situation. The fruits of such fiducia in our interaction with other people is seen in a life of integrity. Righteous people can be trusted by others. When something is told to a righteous person in confidence, it remains in confidence. Righteous people keep godly promises no matter what. Righteous people are loyal to God and to their friends. We often do not feel like righteous people, nonetheless we are declared righteous on account of our faith in Christ. As such, we must live a life that reflects this reality. If you have broken a promise recently, go apologize, and endeavor to behave in a trustworthy and loyal manner in all of your relationships.